"The computer world is like an intellectual Wild West, in which you can shoot anyone you wish with your ideas, if you're willing to risk the consequences. " 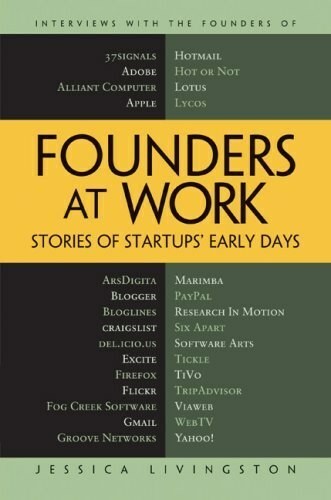 --from Hackers & Painters: Big Ideas from the Computer Age , by Paul Graham We are living in the computer age, in a world increasingly designed and engineered by computer programmers and software designers, by people who call themselves hackers. Who are these people, what motivates them, and why should you care? Consider these facts: Everything around us is turning into computers. Your typewriter is gone, replaced by a computer. Your phone has turned into a computer. So has your camera. Soon your TV will. Your car was not only designed on computers, but has more processing power in it than a room-sized mainframe did in 1970. Letters, encyclopedias, newspapers, and even your local store are being replaced by the Internet. Hackers & Painters: Big Ideas from the Computer Age , by Paul Graham, explains this world and the motivations of the people who occupy it. In clear, thoughtful prose that draws on illuminating historical examples, Graham takes readers on an unflinching exploration into what he calls "an intellectual Wild West." The ideas discussed in this book will have a powerful and lasting impact on how we think, how we work, how we develop technology, and how we live. Topics include the importance of beauty in software design, how to make wealth, heresy and free speech, the programming language renaissance, the open-source movement, digital design, internet startups, and more. In more organized societies, like China, the ruler and his officials used taxation instead of confiscation. But here too we see the same principle: the way to get rich was not to create wealth, but to serve a ruler powerful enough to appropriate it. This started to change in Europe with the rise of the middle class. Now we think of the middle class as people who are neither rich nor poor, but originally they were a distinct group. In a feudal society, there are just two classes: a warrior aristocracy, and the serfs who work their estates. The middle class were a new, third group who lived in towns and supported themselves by manufacturing and trade. Lisp is worth learning for the profound enlightenment experience you will have when you finally get it; that experience will make you a better programmer for the rest of your days, even if you never actually use Lisp itself a lot. This is the same argument you tend to hear for learning Latin. But I think that misfits and iconoclasts are also more likely to become hackers. The computer world is like an intellectual Wild West, where you can think anything you want, if you're willing to risk the consequences. We need a language that lets us scribble and smudge and smear, not a language where you have to sit with a teacup of types balanced on your knee and make polite conversation with a strict old aunt of a compiler. I tended to just spew out code that was hopelessly broken, and gradually beat it into shape. Debugging, I was taught, was a kind of final pass where you caught typos and oversights. The way I worked, it seemed like programming consisted of debugging. But when you damp oscillations, you lose the high points as well as the low. This is not a problem for big companies, because they don't win by making great products. Big companies win by sucking less than other big companies. If you want to make money, you tend to be forced to work on problems that are too nasty for anyone to solve for free. Nearly all makers have day jobs early in their careers. Painters and writers notoriously do. If you're lucky you can get a day job closely related to your real work. Musicians often seem to work in record stores. A hacker working on some programming language or operating system might likewise be able to get a day job using it. Johnson wrote in the preface to his Shakespeare: "He has long outlived his century, the term commonly fixed as the test of literary merit. Whatever advantages he might once derive from personal allusions, local customs, or temporary opinions, have for many years been lost; and every topick of merriment or motive of sorrow, which the modes of artificial life afforded him, now only obscure the scenes which they once illuminated. The effects of favour and competition are at an end; the tradition of his friendships and his enmities has perished; his works support no opinion with arguments, nor supply any faction with invectives; they can neither indulge vanity nor gratify malignity, but are read without any other reason than the desire of pleasure, and are therefore praised only as pleasure is obtained...."
Everyone by now presumably knows about the danger of premature optimization. I think we should be just as worried about premature design—deciding too early what a program should do. The right tools can help us avoid this danger. A good programming language should, like oil paint, make it easy to change your mind. Dynamic typing is a win here because you don't have to commit to specific data representations up front. But the key to flexibility, I think, is to make the language very abstract. The easiest program to change is one that's short. Sometimes, particularly in university math and science departments, nerds deliberately exaggerate their awkwardness in order to seem smarter. Now most kids have little idea what their parents do in their distant offices, and see no connection between schoolwork and the work they'll do as adults. ...... What happened? We're against a hard one here. The cause of this problem is the same as the cause of so many present ills: specialization. Now most kids have little idea what their parents do in their distant offices, and see no connection between schoolwork and the work they'll do as adults. What happened? We're against a hard one here. The cause of this problem is the same as the cause of so many present ills: specialization.